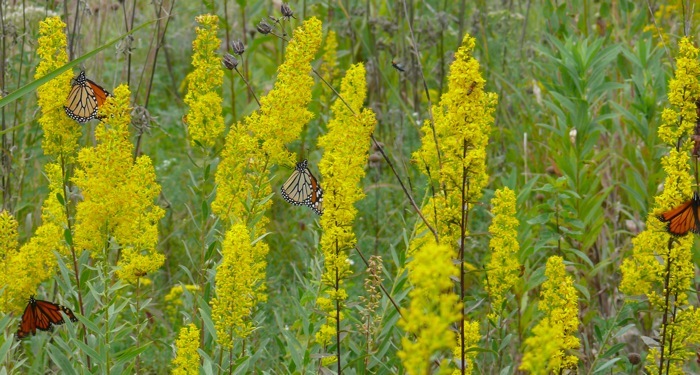 This species has been very common on our land until the last few years. 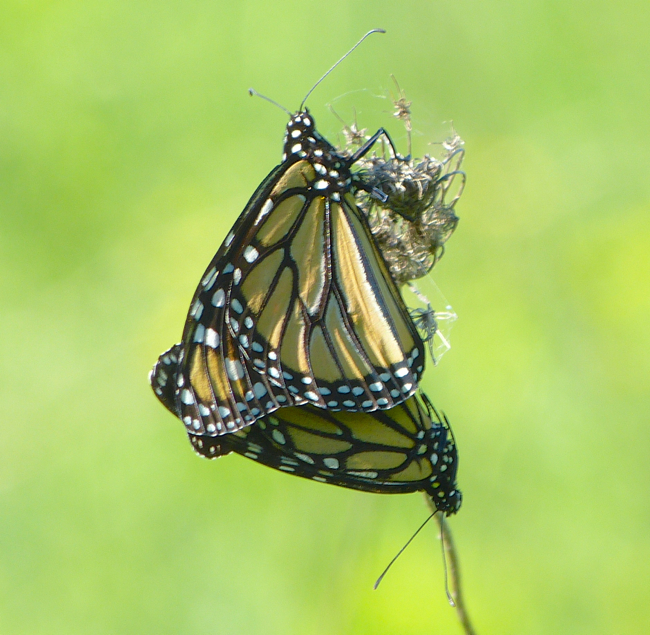 2012 was a pretty good year – we saw quite a large migration through our prairies. 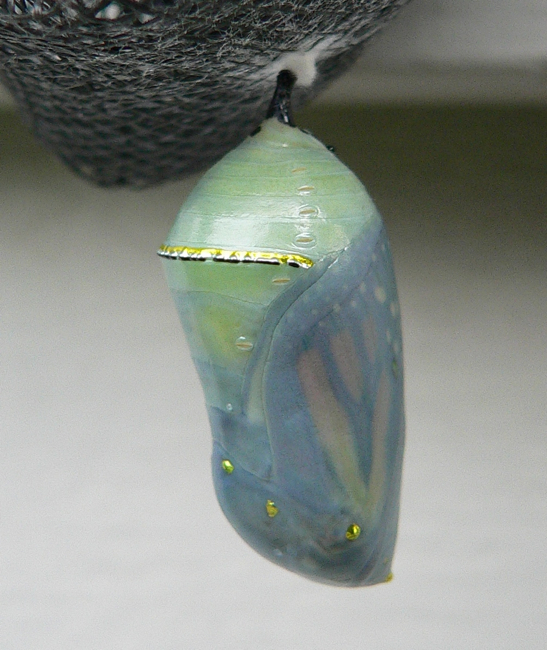 In 2013 we saw almost none. 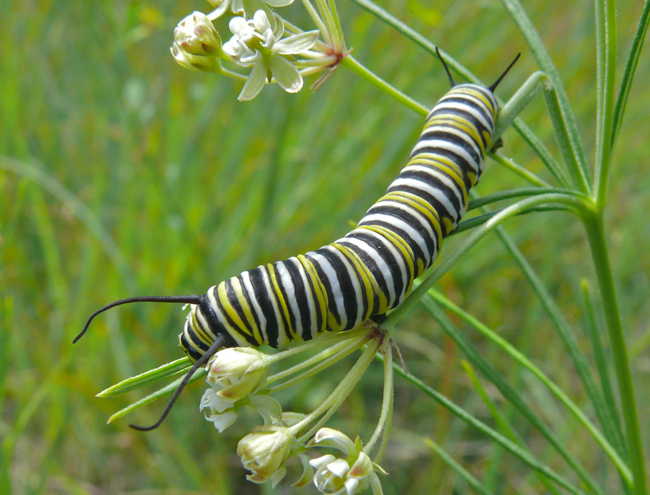 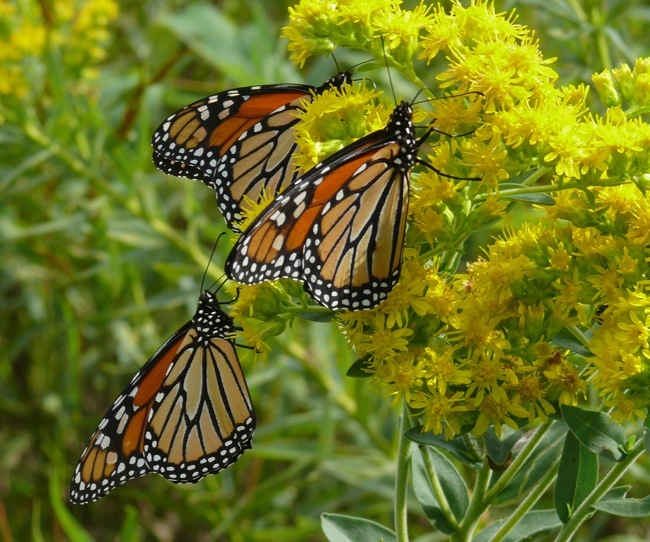 2014 was much better – we didn’t find any caterpillars, but we saw quite a few migrating butterflies. 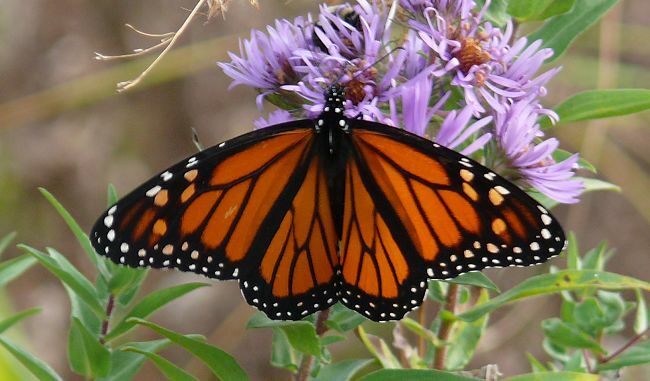 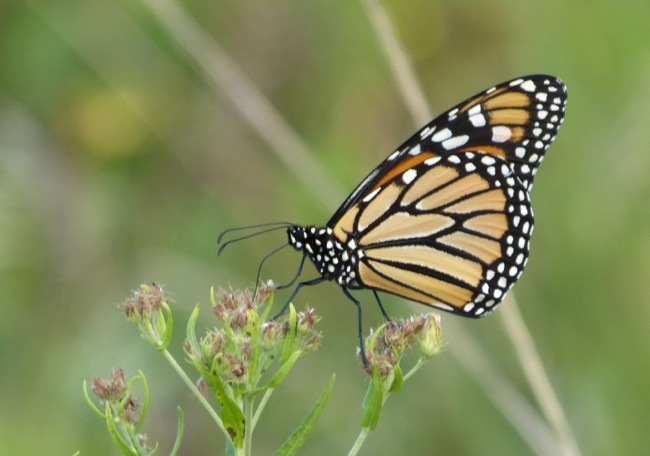 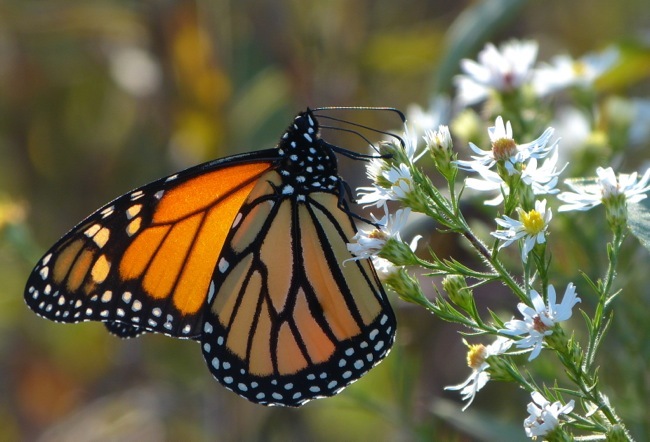 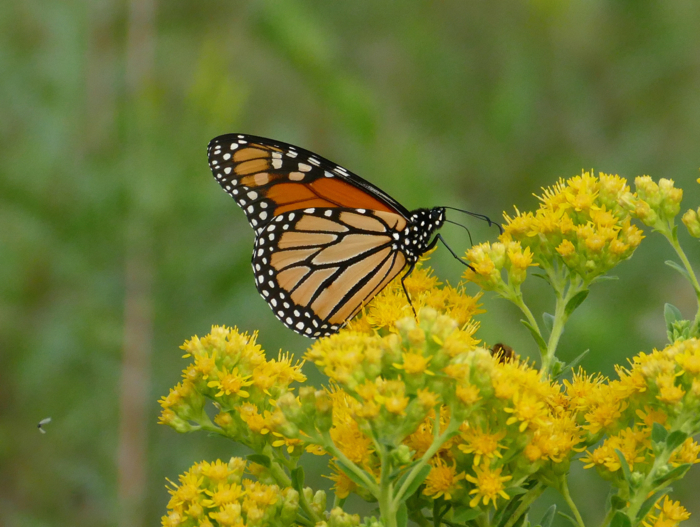 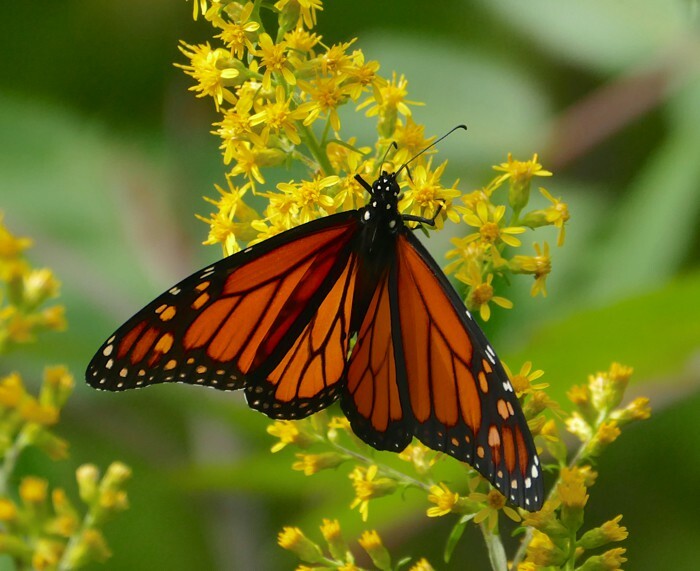 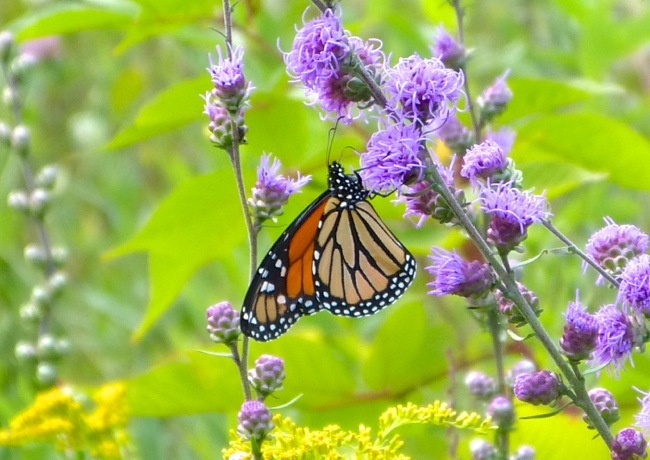 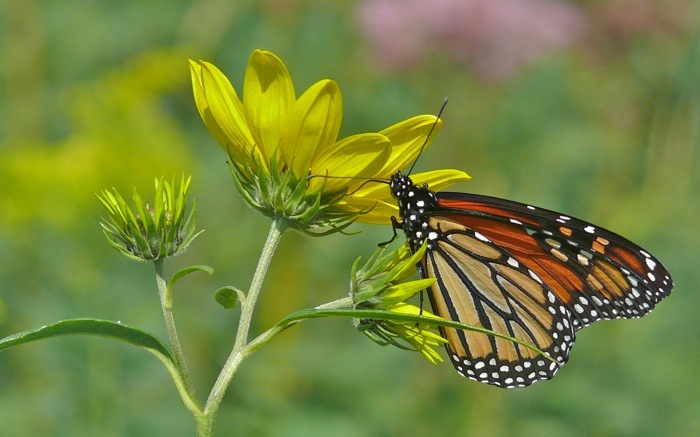 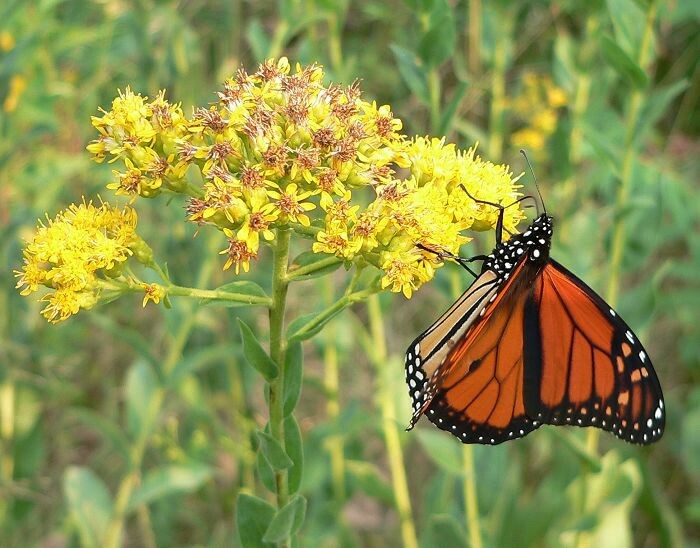 During migration we see them on Rough Blazing Star, New England Aster, and especially on Showy Goldenrod in both our planted and remnant prairies. 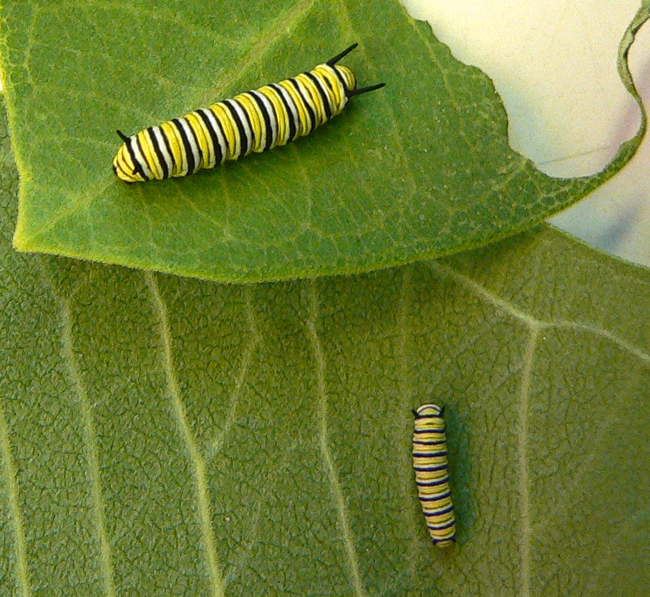 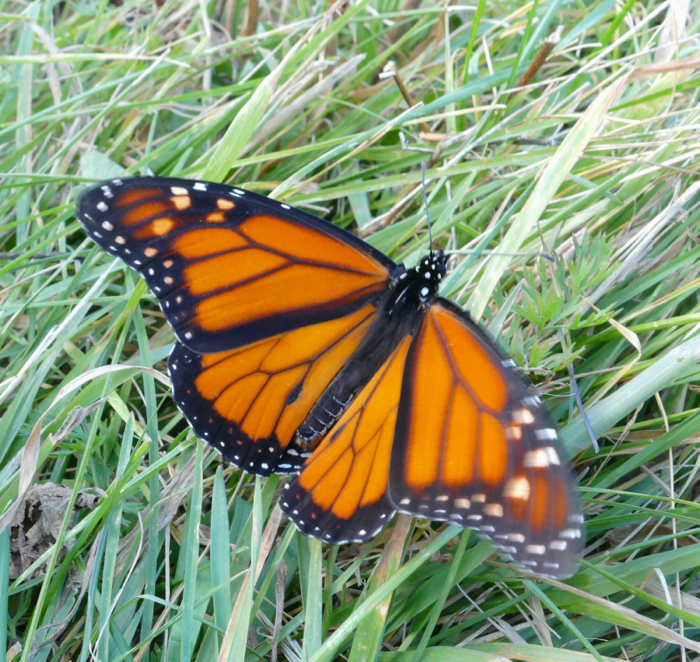 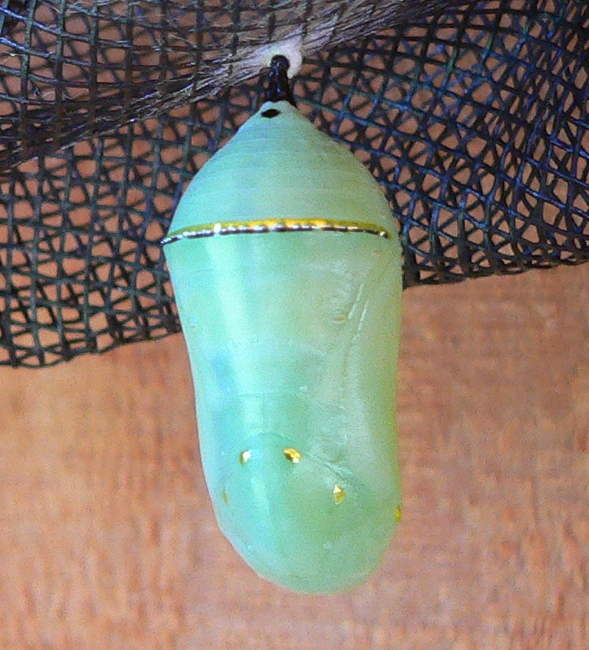 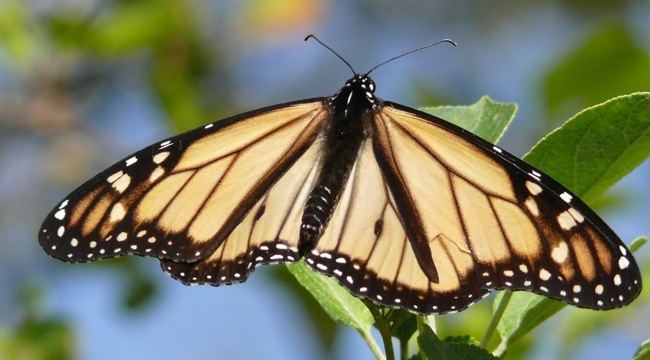 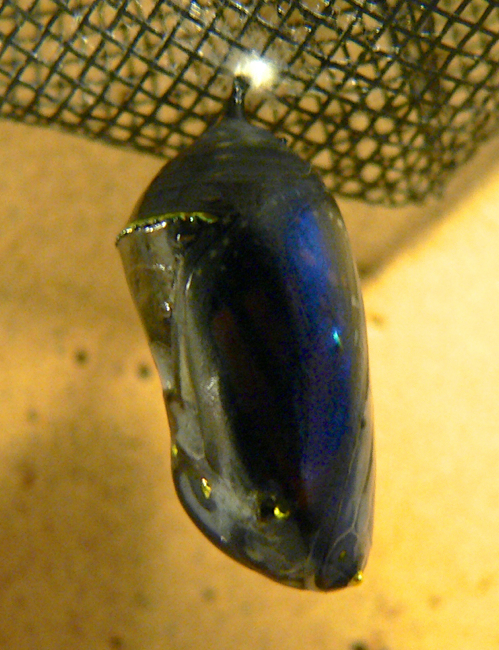 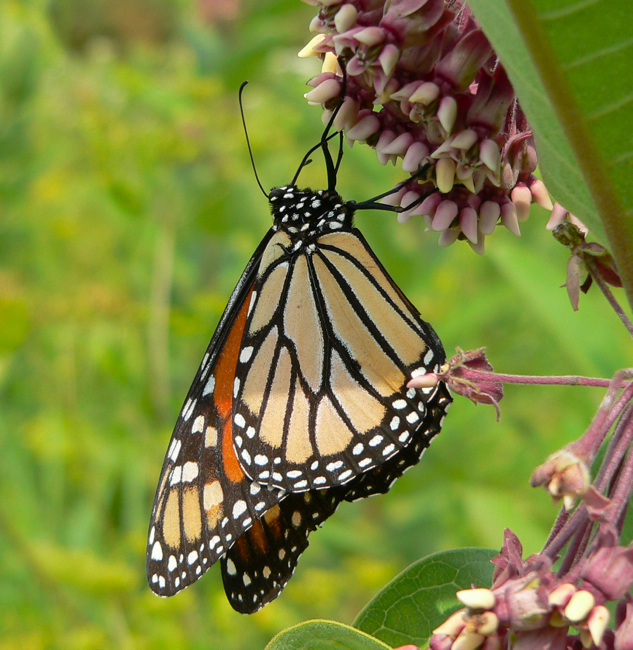 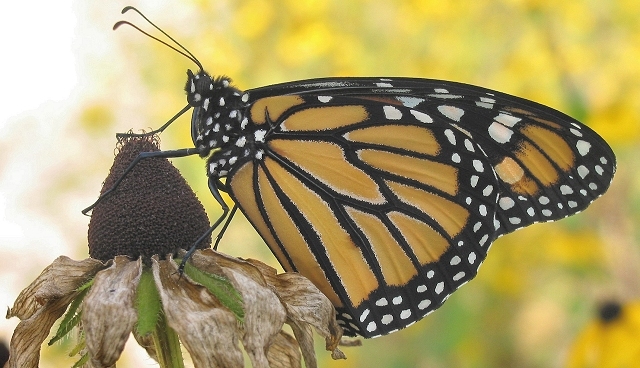 11/2/2014 This is the latest I’ve ever seen a Monarch. 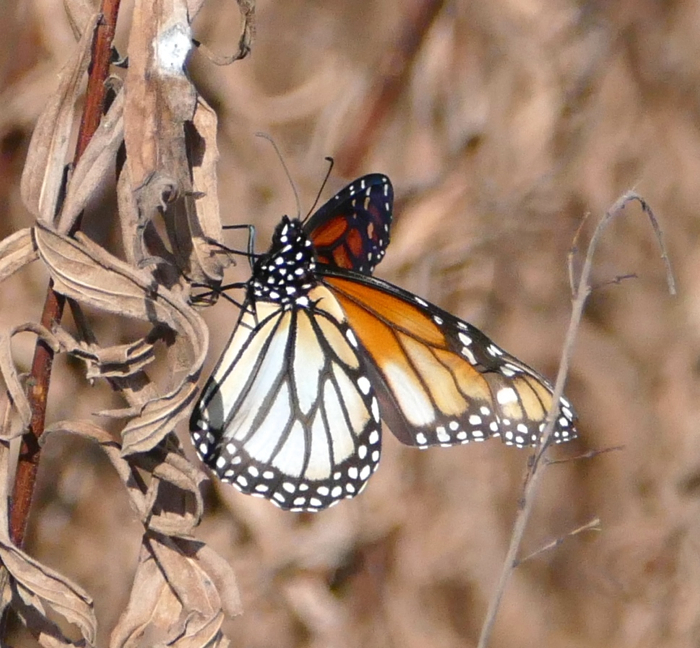 I think the odd coloration must be damage from the cold. 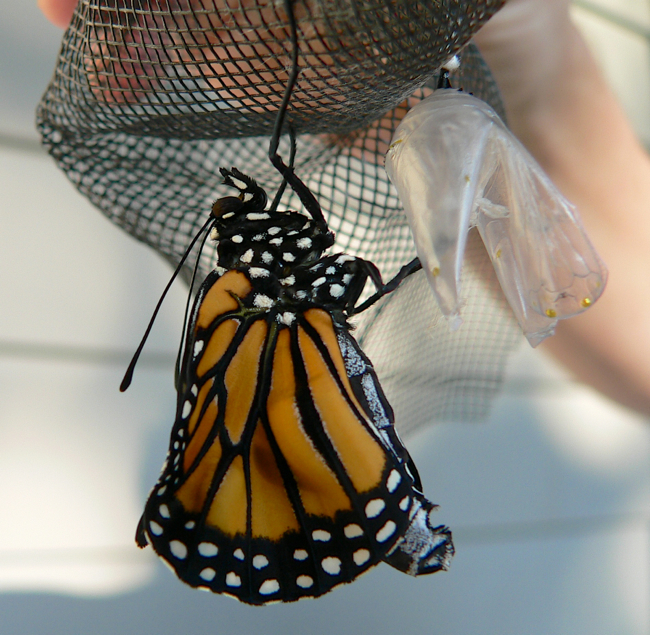 9/5/2010 This is the only time I’ve seen a light colored Monarch.